Joy Campbell painting a day: "A Doggie Snack"
A doggie snack is oil on board. 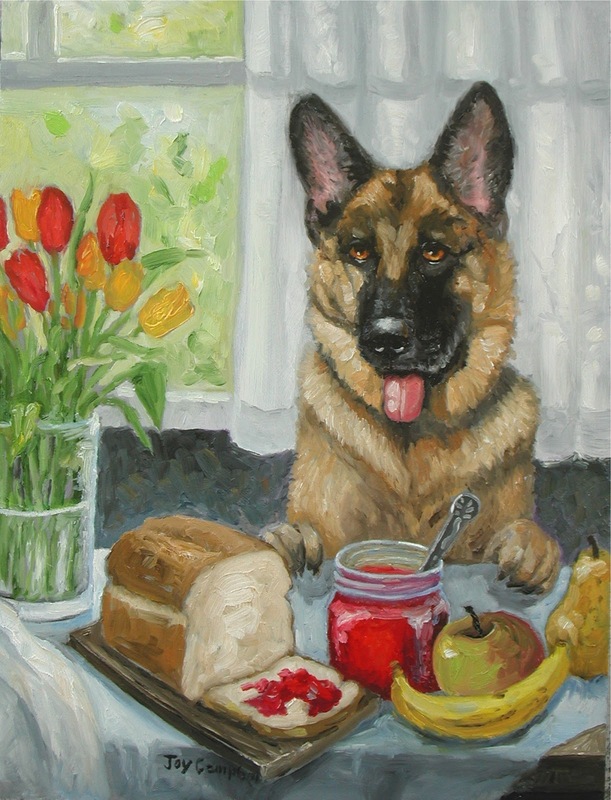 I like the colors on this piece and really love painting German Shepherds. "The Dangers of Fishing Underwater"